Jennifer Lopez Collection Dress, cover of WWD. Piece designed by Lacie Thorne. Jennifer Lopez Collection knitwear, cover of Us Weekly. Piece designed by Lacie Thorne. 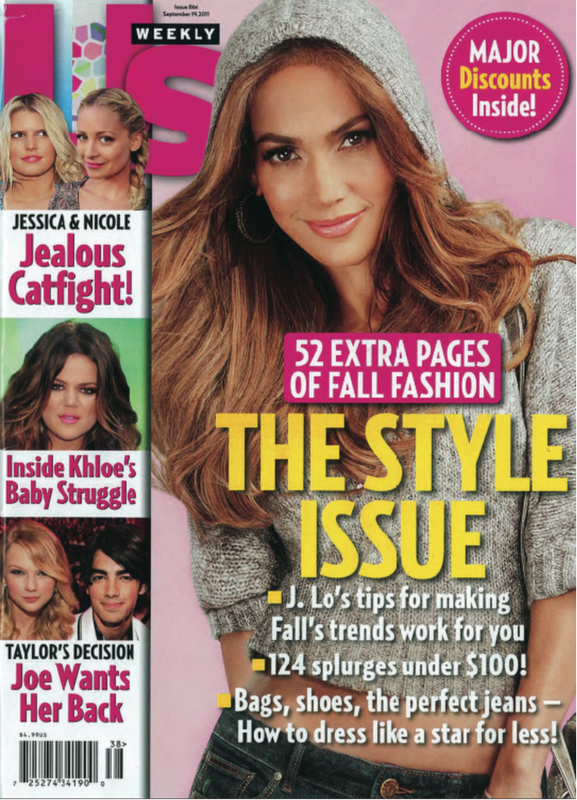 Jennifer Lopez Collection Editorial, US Magazine. Highlighted pieces designed by Lacie Thorne. 12-page editorial spread, Oprah Magazine. Pieces designed by Lacie Thorne. Jennifer Lopez Collection Campaign Launch. Pieces designed by Lacie Thorne.